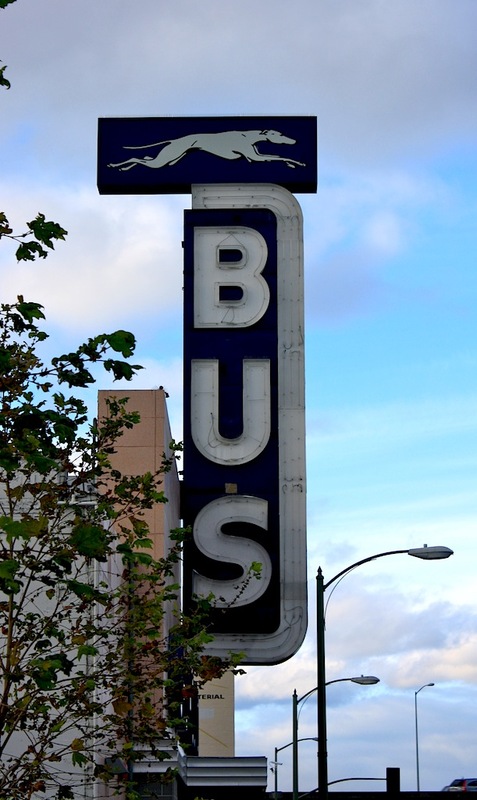 The Greyhound bus service was founded in 1914 and appears to be going strong with 25 million passengers a year. The Oakland terminal was built in the 30s but doesn't have many deco features except maybe the sign. This is an iconic image that has survived the decades. For other "G" images, visit ABC Wednesday for visual treats from around the world. Also linked to Leslie's Signs Signs. Now this brings back memories of the past. I use to ride on the Greyhound Bus when I was a teen-ager. Now that was a long time ago. So Greyhound is almost a century old! Great choice! The saying of riding the Greyhound bus always seems full of adventure, or maybe that is just the view from over the water. Love the sign. What a wonderful old neon sign! Great sign! Thanks for linking withs signs, signs. Our bus station is an embarrassing hole. What an iconic sign! The only time I ever took a Greyhound Bus was in 1974 from Vancouver to Toronto. That was a long non-stop ride (aside from meal/toilet breaks)! We whiled away the time doing macrame... can you imagine?